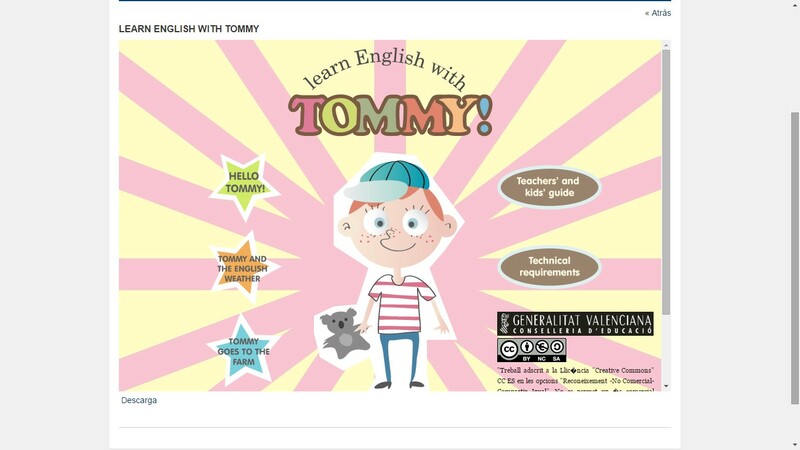 -Click on "Hello Tommy" to play with the classroom objects vocabulary. -Click on "Tommy the english weather" to play with the weather vocabulary. -Click on "Tommy goes to the farm" to play with the animals vocabulary.